Heavy-duty dispenser is made of tough, high impact-resistant plastic for long-lasting service. Permanent core will not get lost or accidentally discarded during reloading. 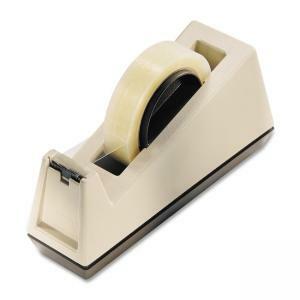 Tape dispenser handles tape up to 1" wide x 72 yards with a 3" core.